Chandra's simple dream was fulfilled because of someone like you! Chandra is a poor young girl from Chennai who lives in an orphanage. The orphanage could not afford much for the children they sheltered and only looked after their basic necessities. Although she didn't have much, Chandra never asked for anything more as she was aware of the tough reality of her situation. Just like Chandra, all the children at the home knew that their wishes had to be limited. They did not even think of things apart from food, a few clothes, and a safe place to learn and stay. They were all grateful for what they were given and had a mature understanding about their lives. The organization Bhumi decided to surprise these children with a change in routine. They gave each child from the orphanage a card to scribble a secret wish on. Chandra wrote that she wanted a new school bag. Bhumi collected these cards and bought gifts for each of these children. A simple bag lit up Chandra's face as she'd never gotten a gift before. She now carries her books proudly in it and thinks of it as one of her most precious possessions. Bhumi runs an annual initiative called 'Joy to the World' where they visit children from underprivileged backgrounds living in orphanages and attempt to fulfill desires and wishes they may not have been very vocal about. These children are encouraged to jot down their unfulfilled wishes on Wish Cards. The team from Bhumi then collects these cards and communicates the wishes to their donors. The children are underprivileged and live in orphanages. Their most common wishes are for books, school bags, shoes, and games to play, either indoor or outdoor. Each child gets a minimum of Rs. 300 worth of gifts. The talent festival provides children a platform to compete in a healthy, competitive environment with an array of 50 different competitions in arts, athletic and sporting competitions such as - flower arrangement, pot painting, clay modelling, elocution, dance, singing, sprint, high jump, shot put, volley ball, chess etc. The event is peppered with entertainment, games, workshops and a science exhibition to keep the children busy even while they were not competing. Nakshatra is planned across cities and zones for this academic year in the upcoming months. TS Kannan a class 7 student from a shelter home had participated in 'Dance Chennai Dance', a huge platform for children to display their grooves and moves. It was the first time that he experienced a stage as grand as this and it was a winning moment earned from years of practice by the child, along with support of Bhumi volunteers where his rock-solid performance won him the3rd prize. His powerful and elegant performance won him a spot among the 22 finalists. This competition and the success is a motivation that has led Kannan to set a goal for himself. Bhumi has implemented a number of programs for development of children in shelter homes across India. 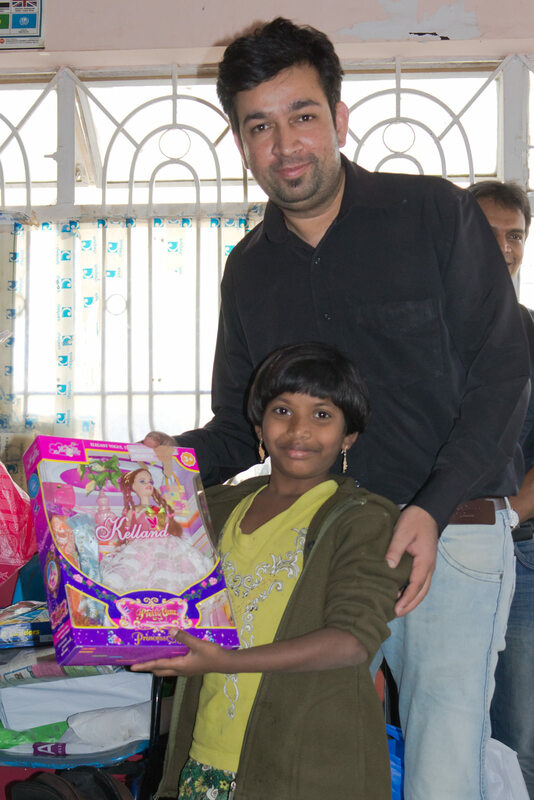 Their program Joy to the World tries to fulfil the wishes of these children in the shelter homes. Wish cards filled up by children are distributed throughout the year to donors willing to fulfill those wishes. The gifts are then distributed during the weekends in October-January. The children's wishes are necessities more than luxuries. These will be any useful item like good pens, school bags, clothes, foot wear, and Sports equipment. The children also take part in a number of events organised as part of Ignite. At Ignite Fest, this year, (2017-18), the Fest was organized in National Institute of Fashion Technology on March 4, 2018. Over 950 children took part, displaying interesting projects made by them in teams, guided by volunteers. More than 260 Bhumi volunteers helped in organizing and conducting the event. The stage had inspired children to bring out their otherwise passive potential. Apart from the project expo, there were technical (learning-oriented) games and workshops for children. An example of one such game is Run to board, in which children had to connect different words to a common thematic word. Under Artoons, two main events were organised, aimed at bringing out the creativity of the kids. One event emphasized on how all paintings doesn't necessarily require a paint brush. It was demonstrated that any material like sponge, forks, straws, even hands can be used to portray creativity on paper; every child came up with creative ideas, efficiently using the materials. In all, the day proved to be an ensemble of talents, an inspiration to participants and the guests. 617 people are currently supporting this.